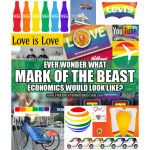 While none of these examples may be The Mark of the Beast, they are certainly examples of marks of the beast in the Revelation 13 sense of the term. 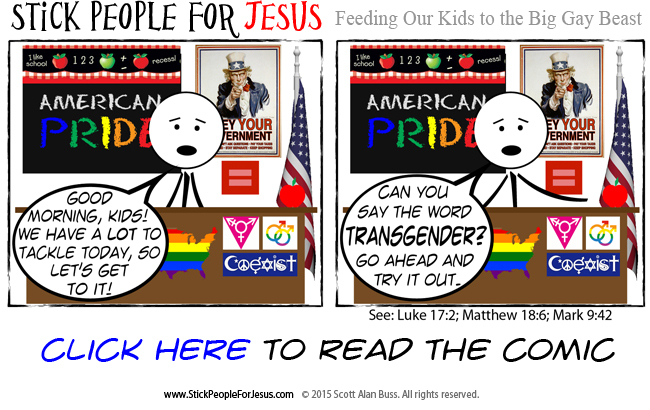 Their purpose is to identify, separate, and persecute true Christians (and by true, I mean those who demonstrate actual saving faith by being actively obedient to the Word of God right here and now). 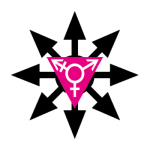 These marks exist to make clear the line of demarcation between that which is encouraged and that which is not to be permitted in the worldviews of those who wish to engage in normal economic activity in the “free markets” of the world (markets that are, in fact, the antithesis of free, having been defined and dominated by a money-printing class of elites who quite literally make money out of thin air with which to own and control everyone and everything beneath them – including each and every supposedly “free” market). 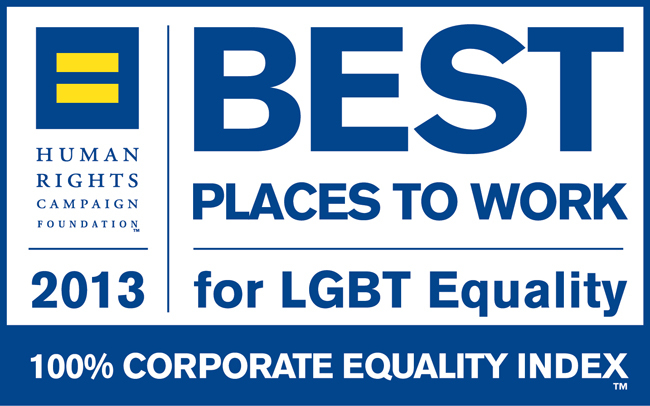 One example of such a Mark that seems particularly worthy of note today is the “Best Places to Work for LGBT Equality” badge of honor that appears in a recent Kellogg’s ad featuring Tony the Tiger (of Frosted Flakes fame), which we covered earlier in Corporate America to Your Children: Hating God and Embracing Homosexuality is GRRREAT! 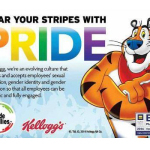 So Kellogg’s joins the long and growing list of American (and multi-national) corporations who are very clearly and very openly targeting obedient Christians for overt economic persecution through this…mark. 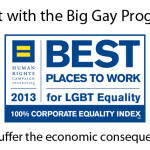 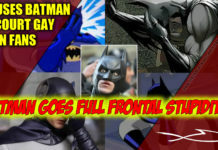 As corporate strategies, marketing approaches, and HR policies shift more and more into a pro-Gay/anti-Christian mode, for every stride made in favor of accommodating and promoting the legitimacy and value of homosexuality (and, ultimately, every other sexual perversion imaginable), there will be, necessarily and quite automatically, an equally vigorous stride against practicing, obedient Christians. 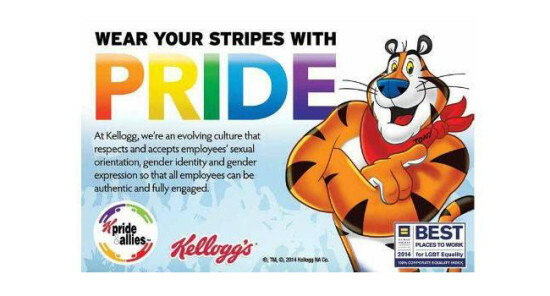 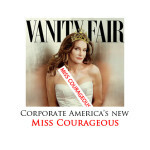 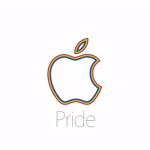 Corporate America to Your Children: Hating God and Embracing Homosexuality is GRRREAT! 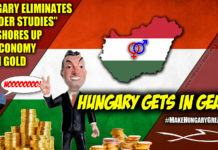 Christ-less Economics: It’s Pretty Gay, too. 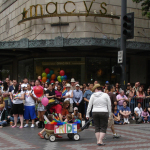 Remember when a bunch of naked guys on bikes riding past a crowd of little girls was a bad thing? 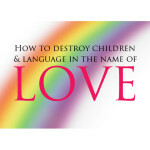 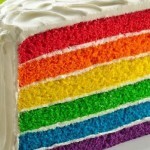 Previous articleCorporate America to Your Children: Hating God and Embracing Homosexuality is GRRREAT! 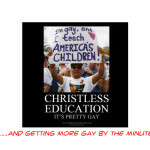 Next articleHow did Christians destroy conservatism?